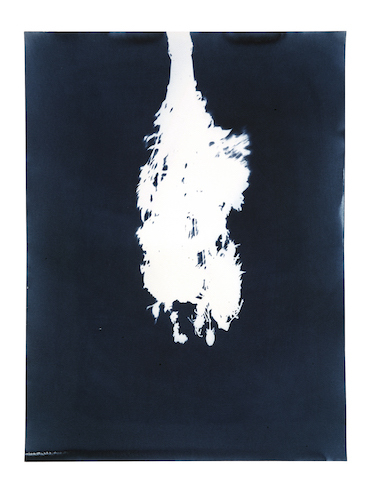 cyanotype photogram, 18" x 22"
the intimacy of loss is illuminated through images of the artifacts that remain and offer an extended presence. On view at Art Basel Hong Kong 23 - 25 March, 2017. Discoveries solo section with Rokeby Gallery.